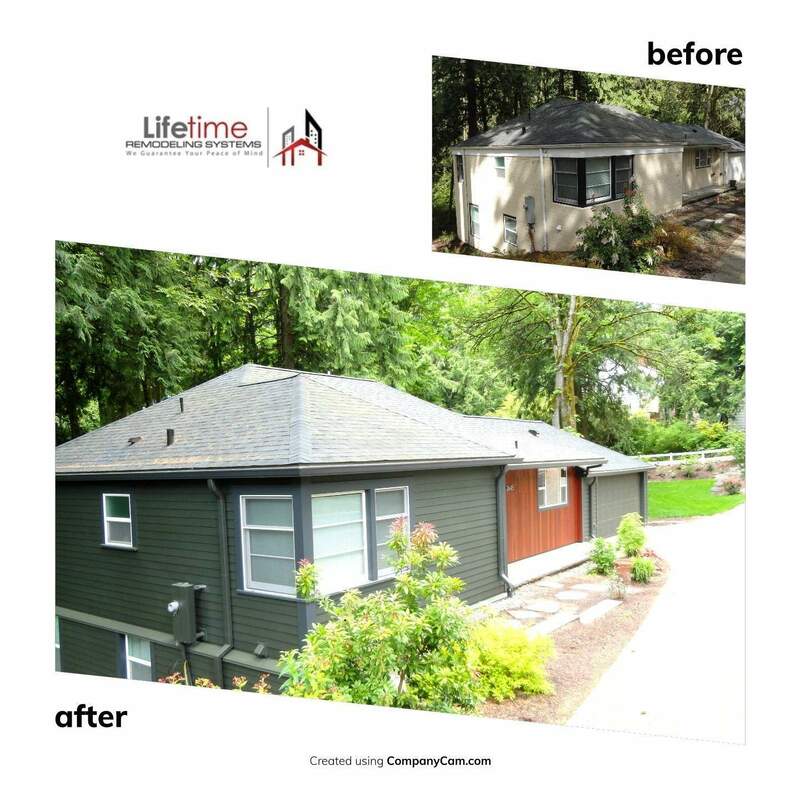 Lifetime Remodeling Systems has been the top ranked Hardieplank Elite Preferred Contractor in Oregon since the program's inception. Unlike many siding companies that offer Hardieplank in only one or two styles we use the entire Hardie catalogue to create awesome design oriented results for our clients. On this project we started with a 1950's home in SW Portland that was originally sided with cinder blocks. We had to carefully remove all of the cinder blocks, perform major structural and dry rot repairs (water had been seeping behind the cinder blocks for 30 years), install smooth Hardieplank lap siding (6" reveal), a modern window & door trim package as well as a Red Meranti hardwood accent in the entryway with LED lighting.